Older people with drug problems (OPDP) are considered those aged 40 or over whose recurrent drug use is causing them harm or is placing them at a high risk of such harm OPDP are likely to encounter negative life outcomes due to their drug use and they have characteristics and trajectories distinct from those of their younger counterparts. The number of OPDP in need of health and social care will increase in coming years, and this is particularly the case in the western European countries that saw the first heroin epidemics in the 1980s and 1990s. There is an increasing need to develop responsive policies, treatments and services to support the needs of OPDP in Europe. 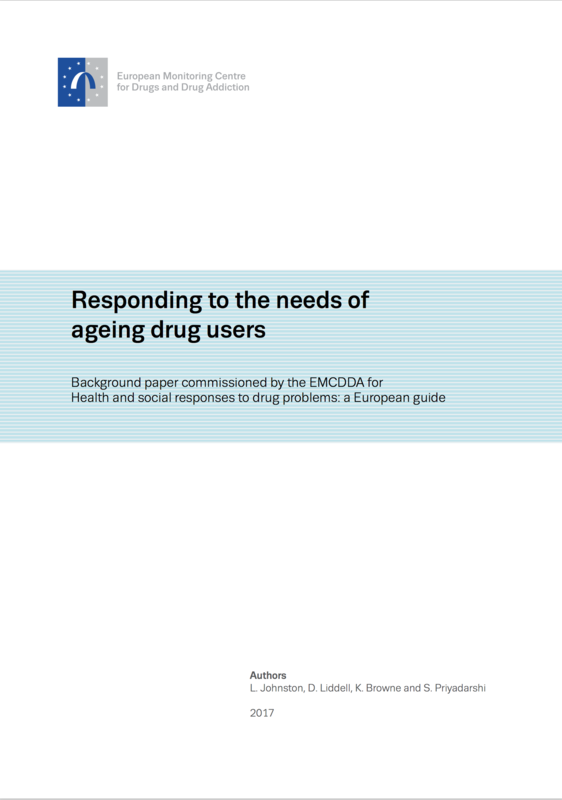 This paper outlines the main health and social issues for ageing drug users. The paper also outlines the interventions and initiatives currently being delivered in Europe to address these issues. The paper concludes by exploring areas for future development, and the opportunities and challenges in this area, outlining the key implications for those engaged in planning or delivering health and social care responses to illicit drug use, specifically in relation to ageing drug users. This background paper was produced under contract CT.16.SDI.0142.1.0 and we are grateful for the valuable contribution of the authors. The paper has been cited within Health and social responses to drug problems and is also being made available online for those who would like further information on the topic. However, the views, interpretations and conclusions set out in this publication are those of the authors and are not necessarily those of the EMCDDA or its partners, any EU Member State or any agency or institution of the European Union.